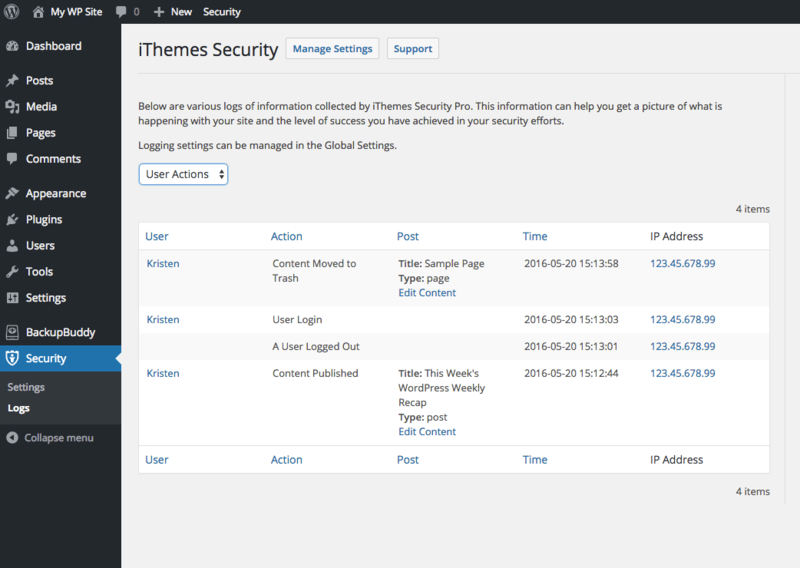 With iThemes Security Pro, you can view a log of user actions such as login, saving content and others. 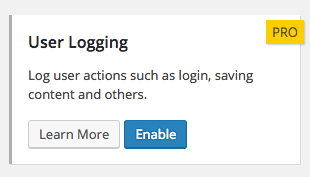 In the User Logging section on the Settings page, click the Enable button to enable user logging. 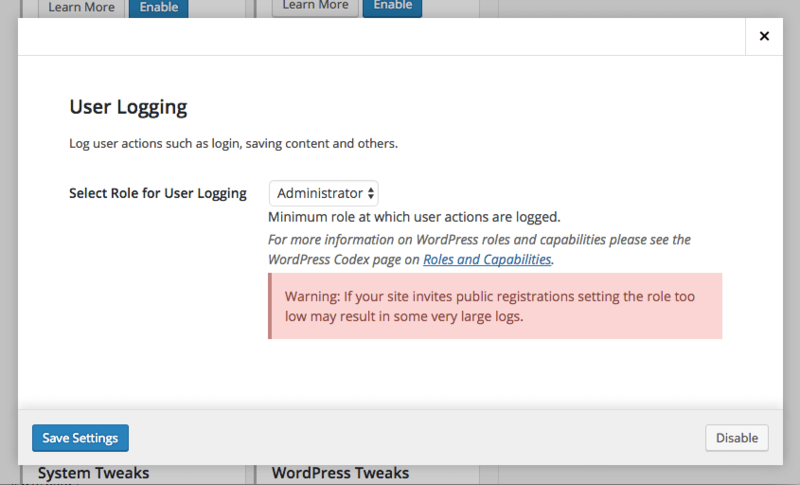 Note: If your site invites public registrations, and you set the role too low, this may result in some very large logs. From the iThemes Security menu, click the Logs link. From the drop-down, select User Actions. For more information on WordPress roles and capabilities please see http://codex.wordpress.org/Roles_and_Capabilities.